Safer alternative to 'traditional' high caustic haze removers. 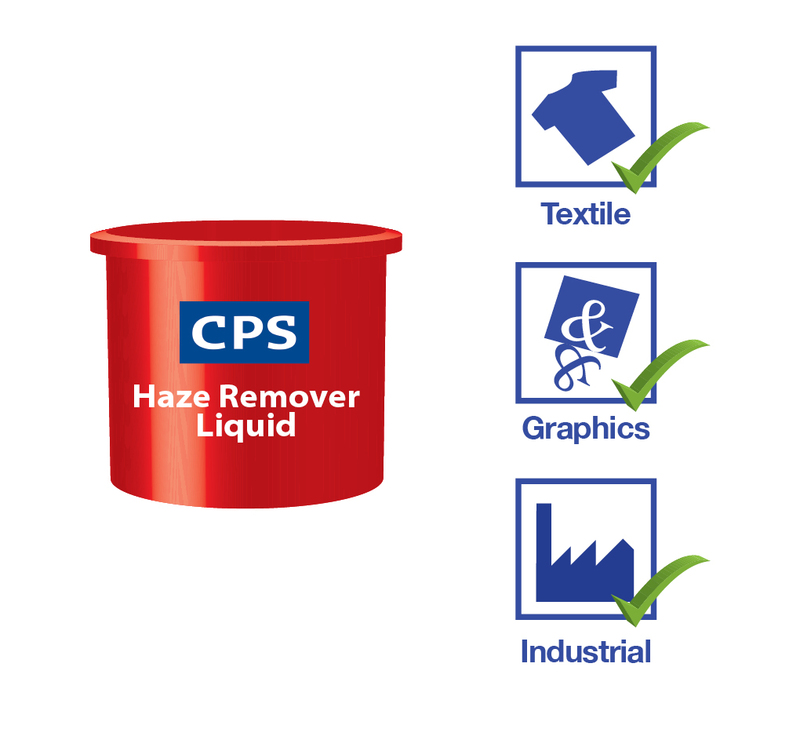 CPS Haze Remover Liquid is a low caustic ink, emulsion and diazo stain remover liquid. The low caustic level is safer for operators and ensures that the mesh isn't damaged in use. Used in conjunction with CPS Activator or CPS Stain Preventer Gel 6000 to improve ink stain cleaning performance. 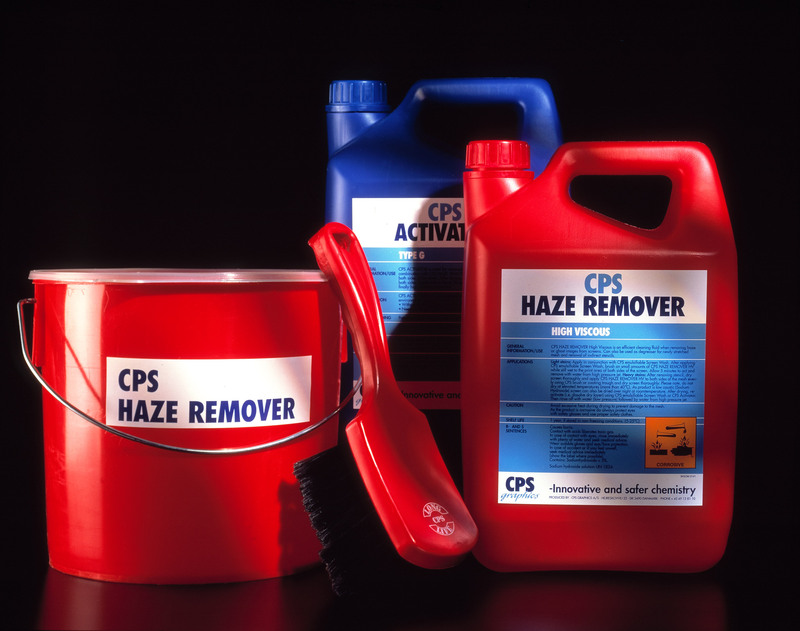 CPS Haze Remover Liquid is a low caustic ink and diazo stain remover. It has been developed as a faster drying alternative to CPS Haze Remover HV (high viscous). Can be left for several days if required but if time is an issue, CPS Haze Remover Liquid can be force dried at a maximum of 35°C. Available as a ready to use product in 1 Litre, 5 Litre, 25 Litre & 210 Litre pack sizes. Standard screen wash products can react with CPS Haze Remover Liquid, as well as any type of caustic based stain remover. In some cases the mixture can heat up and could damage the screen mesh. 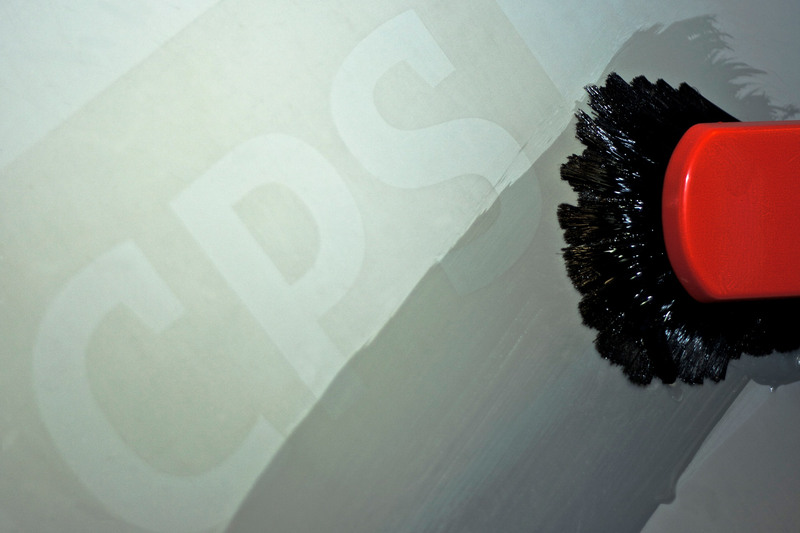 For this reason and to achieve the best cleaning results, CPS Activator G is the best choice to compliment CPS Haze Remover Liquid and achieve maximum cleaning efficiency.